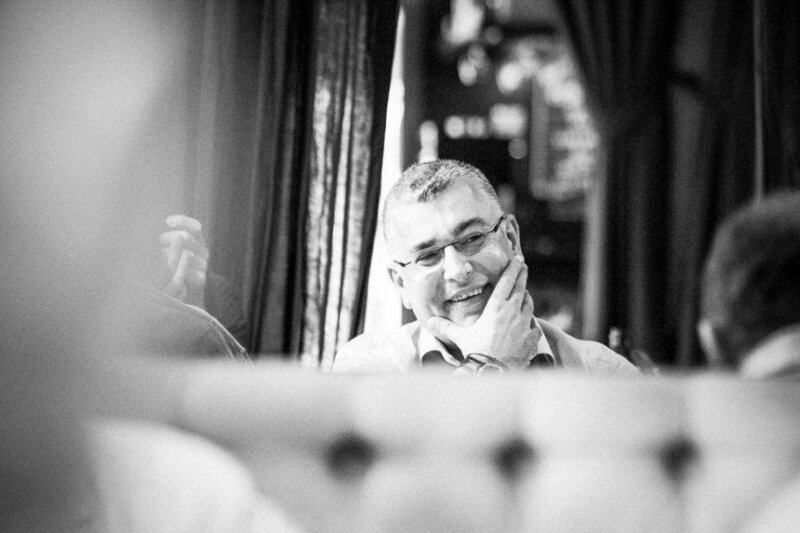 Poet and social activist Sergey Kanovich, who lives in Vilnius and Brussels, is currently realizing his life's work - the “Lost Shtetl” project. The restored cemetery at Šeduva and the completely redone memorials at the mass killing sites near the town were presented to the public some time ago, an exceptionally beautiful and touching monument by Romas Kvintas was unveiled in the town’s center in October, and the cultural center of Šeduva was been restored. 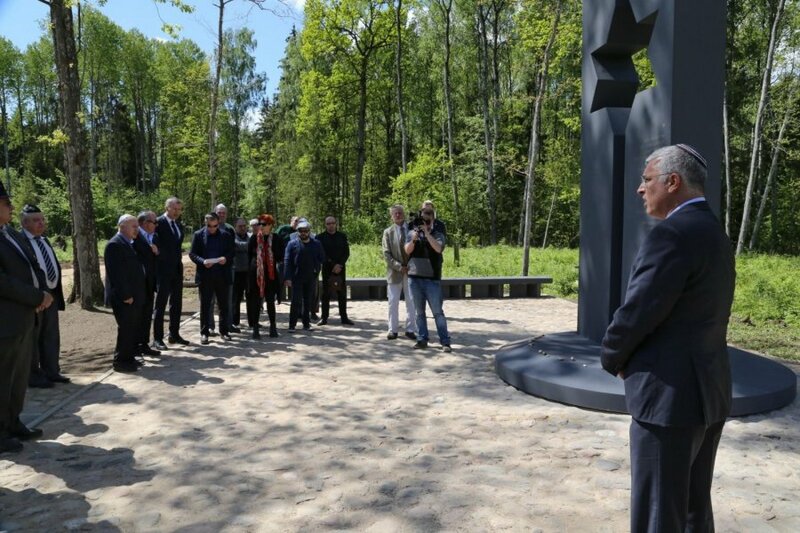 However, there’s still much to be done – the “Lost Shtetl” museum, which will focus on the history of Lithuanian Jewry, is also among Kanovich's plans. Dovaidas Pabiržis of the Veidas weekly magazine recently spoke with Kanovich, the project's initiator, about the remaining Jewish heritage, Jewish-Lithuanian relations, historical memory, and memory politics in Lithuania. Dovaidas PABIRŽIS - How do you see the “Lost Shtetl” project in the context of Eastern and Central Europe? What’s led to its success? Sergey KANOVICH - It may sound banal, but I consider “Lost Shtetl” the project of my life – such is my relationship to it. My father has created a written monument for Lithuanian Jews, and I have been blessed to have generous donors and a wonderful team – Jonas Dovydaitis, historian Dr. Eglė Bendikaitė, Dr. Saulius Kaubrys, museologist Milda Jakulytė-Vasil, architect Algimantas Kančas, sculptor R.Kvintas, project manager Rūta Anulyte and many others – that is helping me create a tangible monument for Jewish Lithuanian history. Only when all is done shall we be able to say whether the project is successful or not. So far, we have achieved the results we wanted. I think the project is unique for two reasons. 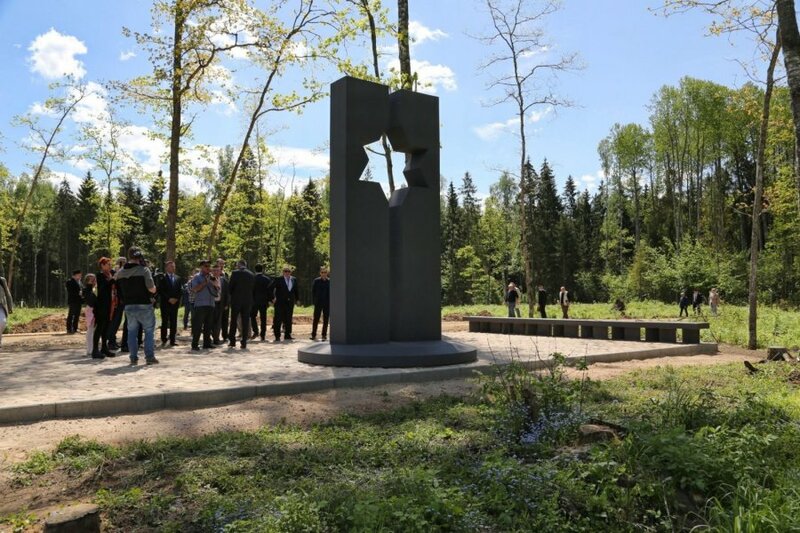 First of all, it is all-encompassing: carefully, and I am not exaggerating – centimeter by centimeter, the Šeduva Jewish cemetery has been restored to the same state it was in when World War 2 broke out. We have identified 400 of the people buried there – as many as the quality of the gravestones allowed. A historical study of the Jewish history of Šeduva is being written, and its authors, E. Bendikaitė and S. Kaubrys, collected their material not only in Lithuania, but also in Israel, the US and South Africa. We are working on a mobile phone app that will guide tourists through the streets and alleys of Šeduva and tell the stories of those centuries-old houses. The director Saulius Beržinis and I are working on a documentary titled “Petrified Time”. Last but not least, all this work will culminate in the “Lost Shtetl” Museum, which will be designed by world-famous architects and built in front of the old Jewish cemetery of Šeduva. The second reason reason is the environment: it is a true, original shtetl environment that was not moved to the capital. This memorial complex is unique in Europe. I dare say that, while working on this project, I realized a few important things – what real philanthropy is and what investment in the country’s culture really means. How do you imagine the Lost Shtetl Museum of Šeduva? The culture and history of the shtetl – a small town that was once home to a large number of Jews and Lithuanians – is virtually unknown. There is no place where one could familiarize oneself with it. We will try to fill this gap by using the unique situation of the future museum: a real cemetery, real sites where people who are no longer nameless were murdered en masse, a real shtetl with real houses and streets, and the real stories of a few real families. Today, the word “Litvak” is usually heard in certain business forums and, sometimes, when we want to boast of some world-famous person who was lucky to leave Lithuania in time and hence stayed alive. But Jascha Heifetz and Leonard Cohen and Grigory Kanovich were born to families of people who had come from the shtetl. We are going to tell stories of regular Lithuanian residents. I think that many will be as surprised as we were before starting our work. We thought Šeduva was a godforsaken place where nothing interesting was happening. How wrong I was, thinking that it was in the middle of nowhere and had a boring life. One of the nicest experiences has been to see the collapse of my own stereotypes. Because we are going down an untrodden path – there is no museum similar to ours not only in Lithuania, but also in Europe – we are consulting with world-class specialists, among them Barbara Kirschenblatt-Gimblett, the curator of POLIN, the Museum of the History of Polish Jews. We have countless “lost shtetls” in Lithuania. What do you think can be done in order to feel the presence of this rich shtetl life in our present era? “Lost Shtetl” will talk of Šeduva. Life there was almost identical to that in other Lithuanian towns, and we are going to tell their story through Šeduva. Their fate was the same, there were no exceptions, and the only thing that differed was the number of people in the pits. What other monuments related to the history of Jews in Lithuania should be restored first? What are the biggest obstacles to do it? I have said many times that Lithuania has enough traces of Jewish death. Meanwhile, it’s almost impossible to find traces of Jewish life in Lithuanian towns. So we should take care not only of the traces of death, but also show and talk about Jewish life. What about those signs of death? Of course, all the mass-murder sites, without exception, and, where possible, the Jewish cemeteries, should be cleaned up and repaired. It’s paradoxical, and perhaps even blasphemous, but these places are becoming major tourist attractions. So far, unfortunately, the condition of most of them is rather deplorable. Do memory politics get enough attention in Lithuania? Does Lithuania have a sensitive historical memory? I think your question identifies the very core of the problem – you call them “memory politics”. Memory has become a victim of political maneuvering. Before the war in Ukraine, Lithuania was an on-going field for memory wars. Sensitive memory is not a weakness; on the contrary, I think it’s an advantage. Unfortunately, politicians tend to manipulate that sensitivity way too often. What are the problems the Jews in Lithuania are facing these days? I do not know what all Lithuanian Jews think, but I can tell you what bothers me and those who I know relatively well. On the one hand, we cannot ignore, and are very happy with, the growing goodwill and tolerance of society. On the other hand, we feel extremely offended when we see some of the authorities’ efforts to whitewash and justify the worship of those who in some way contributed to the fact that the Jews of Lithuania today are a dying people. Attempts to justify the LAF and the Provisional Government are an insult to the memory of our murdered ancestors. This is a barrier, and if it were eliminated, many of Lithuania’s critics would disappear. Let us learn strength from each other and let us not repeat the mistakes for which the future generations, which did not commit them, will have to answer. Lithuania is the land of Lithuanians. They are the owners of this land and its memory and are therefore responsible for everything that happens here. I do not know who managed to count 5,000 Jews in Lithuania. According to the data of the Statistics Department, in 2011, 3,050 people in Lithuania considered themselves to be Jews. What I am trying to say is that it is not only Jews in Lithuania that are on the brink of extinction and need the truth. In my naïve opinion, the truth is necessary for Lithuanians as well, because unless a miracle happens, fifty years from now we will be documenting not the last Jew of Švenčionys or Žagarė, but the last Jew of Vilnius. It is not an exaggeration to say that the recent conclusions of the Genocide and Resistance Research Centre of Lithuania (GRRCL) about Jonas Noreika and Kazys Škirpa submitted to the heads of our state and society insult all Jews and decent citizens in Lithuania. Teresė Birutė Burauskaitė created an extremely absurd legal precedent by signing conclusions stating that J.Noreika was (only indirectly) involved in the crime. Therefore, it is not his fault that the crime took place and he helped it happen? How should we refer to a person if one of the goals of their organization was the destruction of all the Jews in Lithuania? I once tried to discuss with Professor Vytautas Landsbergis the fact that the centre discredits the very concept of genocide because, as is now evident, it is devoted not to investigate genocide in Lithuania, but to justify and defend the members of the Government that collaborated with the Nazis. The activity of the Genocide Centre certainly does not contribute to better relations between Lithuanians and Jews. And what is your opinion of the Provisional Government’s head, Juozas Ambrazevičius-Brazaitis, being reburied in Lithuania? If it had been the private funeral of a private individual, I would certainly adhere to the rule De mortuis nil nisi bonum. But since it was granted official status, we must view it as the funeral of the leader of the Provisional Government of Lithuania – by the way, its organizers and participants never denied this fact. I do not think an official reburial ceremony of Vidkun Quisling would be possible in Norway, nor do I think the French government would spend money on glorification of Philippe Petain or members of his government. It was a mistake. I tried to dissuade Professor Landsbergis from taking part in the funeral. I then appealed to a few things – asking him whether he really needed this spot in his honorable biography; I asked whether the tree in honor of his mother's, Ona Landsbergienė’s, heroism planted at Yad Vashem in Israel wasn't more important than the efforts to legitimize J.Ambrazevičius? Finally, I asked him to think about the fact that his children and grandchildren may have to answer for his actions. The professor listened to my arguments with patience and due respect, but in the end he still attended the funeral. So we should choose which discourse is more important: that of a minister in the Provisional Government who collaborated with the Nazis and quietly sacrificed the Jews, or that of the rescuers of Jews? As Tomas Venclova aptly noted, if you collaborated with the Nazis, but later became a partisan and killed some member of the Komsomol or a commissar, you shall be honored by the GRRCL and commended by today’s state. I think that creators of the false heroic narrative of the Provisional Government really couldn’t care less about J.Ambrazevičius’ persona. They cared about other things – the false discourse of the June uprising without Jewish blood. Instead of demonstrating the ability to share the blame for the crimes not committed by our generation, they show reluctance to accept moral responsibility. Do you think the activities of the Provisional Government of 1941 in Lithuania have been generally well-researched and evaluated? The Provisional Government was based on the Lithuanian Activists Front led by Škirpa – this conclusion was made by the International Commission for the Evaluation of the Nazi and Soviet Occupation Regimes in Lithuania. Lithuanian and foreign historians who provided the findings to the above-mentioned Commission, among other things, evaluated the activities of the LAF and the Provisional Government as anti-Semitic. In the first days of the war, members of the LAF became the first Jew-shooters. Gradually, the discourse of the June uprising nurtured by the fathers of Independence is beginning to crack. It’s crumbling like a house of cards, because a lie, even though it’s supported by the taxpayers’ money and faithful court historians, is powerless against innocent blood. You can’t fool blood. The Provisional Government did not lift a finger to defend, at least verbally, their fellow Jewish citizens from the mass destruction that was gaining momentum in Lithuania. The adepts of the Provisional Government and LAF are the authors of that harmful discourse. According to them, collaboration with the brown invader was and still is a much smaller sin than collaboration with the red one. The narrative is best reflected by the Genocide museum, with its miniature corner, achieved after decades-long begging, paying respect to two hundred thousand Lithuanian Jews that were killed. Such a shame to the nation. Statements about the LAF, its leaders and the Provisional Government issued by the GRRCL are similarly disgraceful. One of them, signed by T.B. Burauskaitė, for example, explains that Škirpa did not participate in the massacre at the 7th Fort and did not lead the first National Work Security Battalions (in Lithuanian, Tautinio Darbo Apsaugos batalionas, TDA) which killed large numbers of Jews. It is true that previously, T.B. Burauskaitė identified both Škirpa, and the activity of the LAF, which he commanded, as anti-Semitic. But, you see, he “did not have time” or “couldn’t” come in person to the Jewish shootings at the 7th Fort. Just imagine any German state authority saying that Hitler did not contribute to the Holocaust, because there is no evidence that he had personally killed anyone. Ad absurdum. It’s an open secret that the center is a propaganda tool of a political force that, it seems to me, also has full immunity status. Even though it’s apparently manipulating the facts, it remains a fortress inaccessible to criticism. The creation of a parallel reality is to my mind the biggest “achievement” of the center and its “clients.” A reality which has nothing in common with the facts. No matter how much J.Ambrazevičius edited his memoires post factum, no matter how much Škirpa edited the uprising – Jews were killed since the first days of the war. This was done by the white armbanders of the LAF and the TDA, who undoubtedly were affected by the systematic Nazi anti-Semitic propaganda disseminated by the LAF from Berlin. But again, the center can’t find perpetrators. 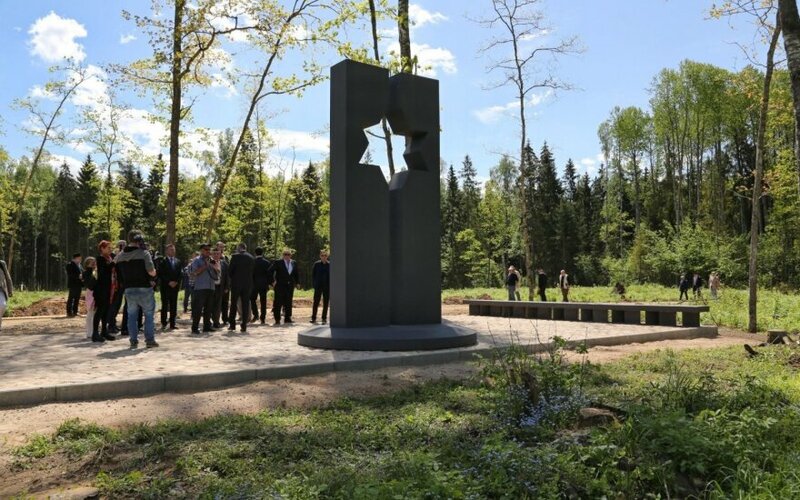 The Jews of Lithuania have been allowed to have and commemorate their own tragedy – a tragedy of Jews, rather than a tragedy of Lithuania – and to identify the victims, yet there are no executioners or their ideologists. Coming back to your question about memory politics, I would dare to say that the GRRCL became the first victim of those political manipulations, but without being able to admit this, today GRRCL’s activity, to my mind, is harmful to the public. It’s enough to say the truth once. I think that, in spite of the patronage of that political force, the GRRCL will inevitably have to be reformed because the current situation badly affects very many decent historians and researchers who work there and are perhaps unaware that the fruits of their labor are either put in a drawer or used so that the false narrative is able to last a few more years. Politicians’ hypocrisy is also harmful, because society is constantly receiving two different messages: you see one or another politician posing for pictures with representatives of the Jewish community of Lithuania or the Israeli Ambassador to Lithuania, and a few days later you see them giving a tearful speech about J. Ambrazevičius and his government. You don’t understand where this truth that is supposed to guide our steps forever is and when will it finally reach the dark corners of Lithuania’s history. Talking about independent Lithuania’s 25th anniversary, how would you evaluate the Lithuanian-Jewish relations during this period? What could have been better? Things could always be better. You can’t change the past, so better let us talk about what can be done for things to be better tomorrow. I have no magic recipe. I think that open, honest communication, and being able to clearly name the shadows of the past would do a lot of good for Lithuanian-Jewish relations. It would be beneficial for Lithuania and Lithuanian society – whether Jews live here or not. We should simply stop lying. To ourselves and to others. This is only a question of political will and conscience. Many younger people today mostly find out about Jews from the news about Israel’s politics and conflicts, but not from their Lithuanian past. How would you describe the prevailing opinion about Israel in Lithuania? Is it sound? State-wise, the cooperation between the two states is a positive thing. It is to be welcomed and encouraged in every way. But, to my mind, the results of that cooperation should not be used as a substitute for the unsolved internal problems of Lithuania related to the issues of historical memory. In Lithuania we still have many stereotypes about Jews – in casual expressions and jokes. They usually come from ignorance or beliefs of the past. Why do they still exist? Truth and light are inseparable elements of education. All it takes are a good textbook and a good teacher.